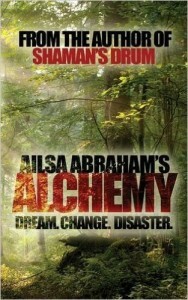 Today's Thursday Write Despite features the incredibly inspiring Ailsa Abraham. Ailsa is a multi-published author who writes fiction despite having suffered brain damage and a stroke as a result of three separate accidents - a fractured skull at the age of 15 when she fell onto rocks from a cliff top, a stroke following a car accident, and a near-fatal motorcycle accident which put her into a coma for three weeks. Beautiful but deadly. Ailsa fell onto rocks from these cliffs at the age of 15. If you can write despite all of that, I think you can write despite pretty much anything! But I'll let Ailsa tell her story of writing against the odds. Brain damage and severe pain are the most awkward. My spine is pretty well crippled which can make sitting at a desk rather sore. I have experimented with voice recognition but it turns my Julie Andrews' accent into a mangled version of rubbish so it's easier to touch type, at which I am fortunate enough to be good. Since a few head-injuries plus a stroke, my mind becomes disconnected. Often I don't know which language I'm speaking, one of the disadvantages of being bilingual. This results in me losing words in both tongues and screaming in frustration. Sometimes I have to act them out to a friend to get the answer. Ailsa on the motorbike which ended up putting her in a coma for 3 weeks. I'm a very impatient person. I want it done now. No, I want it done five minutes before I thought about it which makes writing a very frustrating occupation. Consequently I write in the patchwork quilt method – whatever scene grabs me gets written. When I have a few in hand I stitch them together in the right pattern until the tale is coherent. Overall this works better for me than trying to write chronologically. Ailsa finds a 'patchwork' way of writing suits her best. Possibly it has given me insight into other people's suffering. I tend to be compassionate both with real folks and with characters, both good and bad. When I have a bad character I need to work out what made them like that and so they become less two-dimensional, perhaps even pitiable. IRL (in real life) I laugh at everything. That is my defence method. When lying on the floor, having been attacked by furniture when my feet and brain aren't speaking, I can hardly stand on my dignity, can I? Face it, I can't really stand up so...I giggle. There tends to be a lot of “off the cuff” humour in my work. A woman involved in very serious and dark work will suddenly “throw a googlie” by saying “Well, you don't piss off gods, do you? Just in case!” That's really me speaking! I didn't have any. Given that I was only writing for the amusement of friends it was not a fearful situation. I don't tend to scare easily anyway. Having shaken hands with DEATH regularly I tend to look at it and say “What's the worst that can happen?” With writing the answer is that in the worst case scenario, everyone will hate your book. Hey but then you would be famous for writing the worst book EVER! When I first started I was writing male romance under a pseudonym and the only trepidation for me was that some gay men resent women writing that kind of fiction. So far nobody has had anything but praise for it. Even straight people apparently like them! Don't let it. Writing is something you should HAVE to do, not want to do. I would never have got into this malarky if people hadn't bullied, pushed and shoved me. I didn't think my stuff was good enough but publishers have agreed so I'll go along with them. They know what they are talking about. The only thing that should put you off writing is if you can't possibly face rejection because it will happen. 99 people will love your book and one miserable git will leave a one-star review. Being a normal human being, you will ignore the ninety-nine and notice only the bad one. Stop it. If you can't take that, don't write. Get as much feedback from friends, writing groups etc. and be open to constructive criticism. As usual, with my disorganised brain I am writing three WIPs (works in progress) at once. I'm not especially proud of any of my books in particular, as they all mean as much to me. Each was a huge achievement. I think when I get Book 3 of Alchemy series finished, it will be the greatest one because I have literally had to come back from the dead to write it. I was getting on fine with the first draft until a motorcycle accident nearly wiped me out and put me in a coma for three weeks. It has taken over a year for me to get back to writing properly. I couldn't even do blog posts at first which will teach me to do somersaults over the handlebars at my age! I am quite proud of being able to mix genres so well. I consider it rather like cooking. So I don't just make cakes, I do a mean home-made soup as well. Alchemy series is magical reality, my boys are in romantic detective drama and I'm about to embark on non-fiction too. BIO – Ailsa Abraham retired early from a string of jobs, ending up with teaching English to adults. She has lived in France since 1990 and is married with no children but six grandchildren. She copes with Bipolar Condition, a twisted spine and increasing deafness with her usual wry humour – “well if I didn't have all those, I'd have to work for a living, instead of writing, which is much more fun.”. Her ambition in life is to keep breathing and maybe move back to the UK. She has no intention of stopping writing. Her other passions are running an orphanage for homeless teddy bears plus knitting or crochet now that she has had to give up her beloved black Yamaha. Thank you so much, Ailsa. You're a complete inspiration to me, and I'm sure to everyone who reads this post! Posted in All About Reading, Feel The Fear And Write Anyway, Uncategorized. 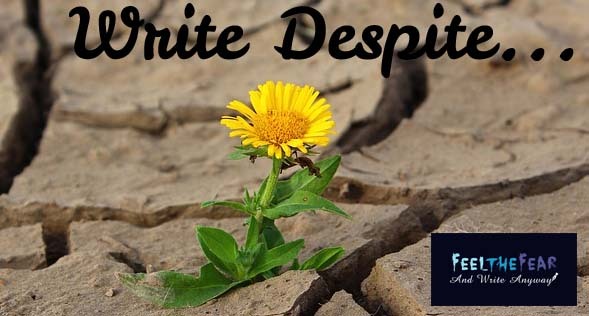 Tags: adversity, Ailsa Abraham, challenge, creative writing, creative writing tips, Crooked Cat Publishing, Write Despite, writing success on January 28, 2016 by Margaret K Johnson.